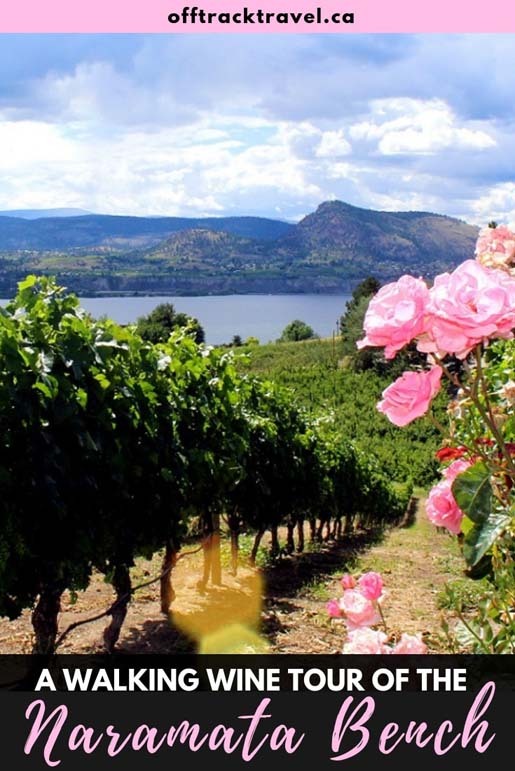 With 2,400 hectares of planted vineyards and over 60 varieties of grapes growing, the Okanagan Valley is home to Canada’s second largest wine growing region after the Niagara Peninsula of Ontario. One of the biggest concentrations of wineries in the Okanagan is on the Naramata Bench, just outside of Penticton. 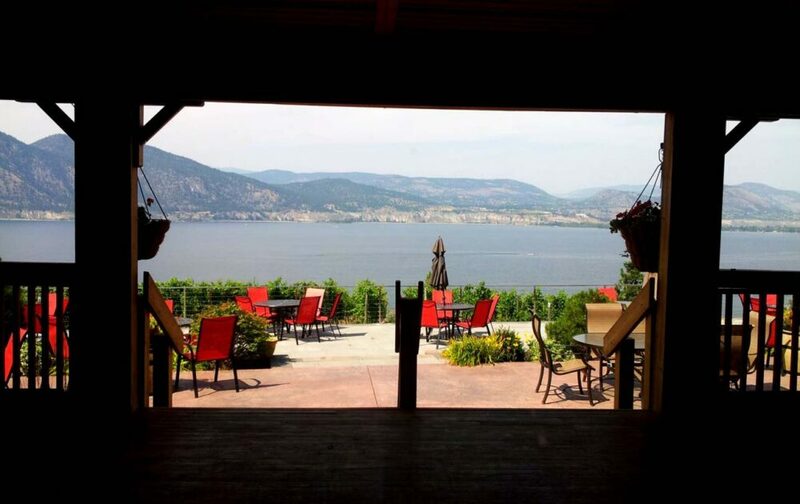 At the time of writing, there are over 35 Naramata wineries in a stretch of less than 20km. There’s no other place quite like it! 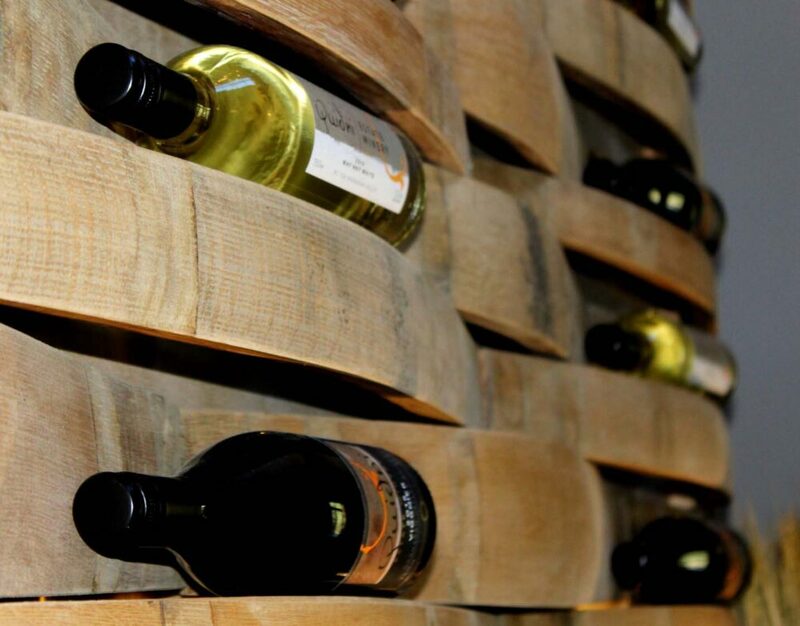 Read on to discover the cheapest and most fun way to tour these wineries. 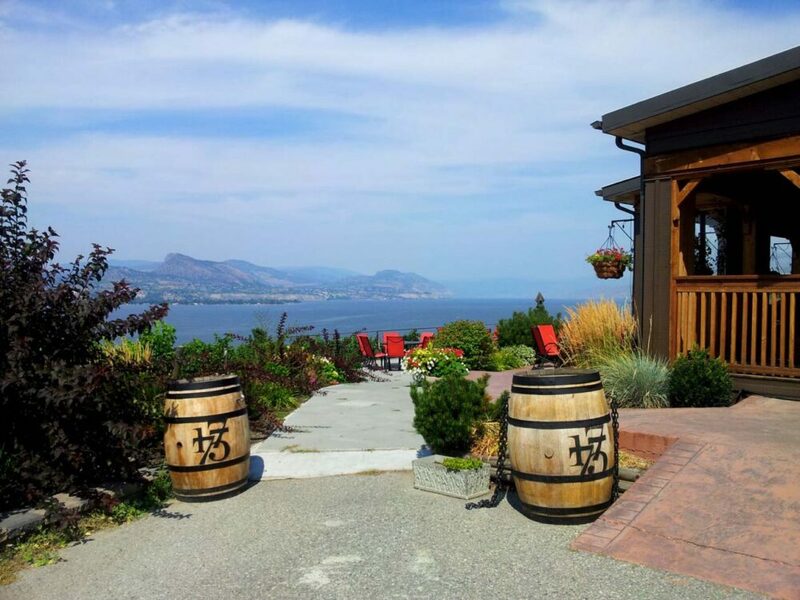 Planning your own tour of the Naramata wineries? Check out our Wine Lover’s Guide to the Naramata Bench eBook, featuring every single winery as well as touring tips, accommodation advice and a specially made map. It’s all you need to explore this beautiful region to the full! There are affiliate links in this post. If you make a qualifying purchase through one of these links, I receive a small commission at no extra cost to you. 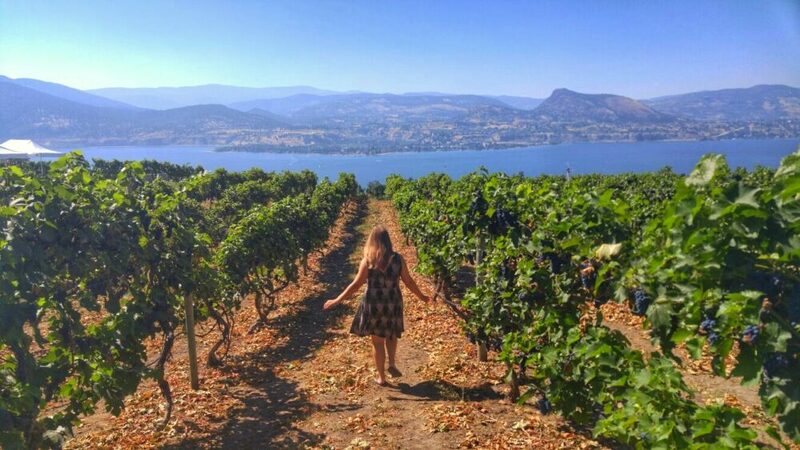 With the Okanagan Valley being the land of good food and wine, we couldn’t miss doing a wine tour around the Naramata Bench. In early August, we had both friends and family visiting so it seemed like the perfect time. After all, they say that nothing is better than good company except good company and wine! 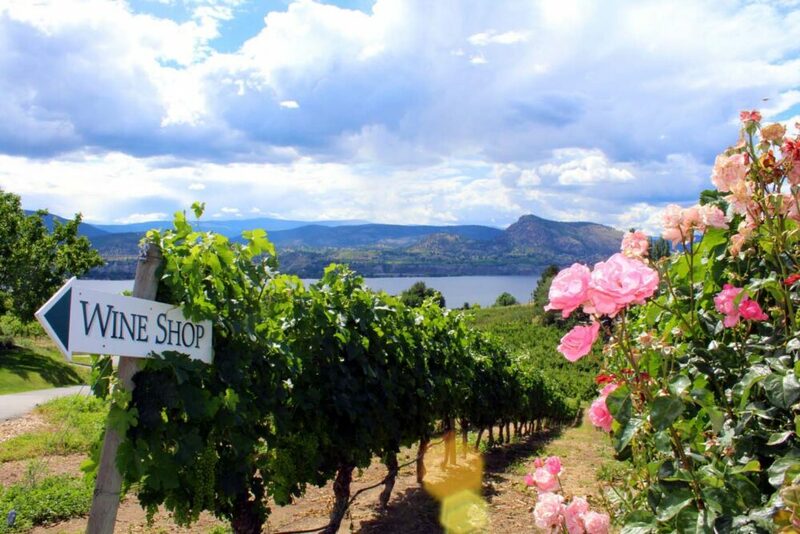 Half day wine tours around one of the southern Okanagan wine areas (Okanagan Falls, Summerland, Naramata, Oliver and Osoyoos) start at around $75 a head – this includes tasting fees, transportation and the attention of a guide/driver. There is also a shuttle service in Naramata and Oliver four days of the week, running at around $65 per person. Looking to book a stay in Penticton? At almost $400 for a group of five, we decided there must be another way to go on a wine tour. After all, it was likely we would want to buy some wine too and that would push the total much higher. As well all love walking and doing things the off the beaten track way, a walking tour of the Naramata Bench seemed like a great alternative. With the Naramata Bench (the closest wine area to our home) being uphill, it seemed sensible to take a taxi as far as we felt like going and then walking back. What a better place to start a tour than with a good breakfast at the Bench before heading to our first winery. All coffee’d up, we were ready for our adventure. Bench 1775 was the perfect place to start, with 30 acres of lakefront property with amazing views of the lake. Walking to the next Naramata winery, around 600m down the road, I realised the downside of a walking wine tour….the heat. But it made the chilled white wines taste even better! A few wineries later, we were starving. Most of the wineries sell snacks and/or some fresh deli items to purchase but a few have full restaurants open for lunch and dinner. We took a DIY route and wandered on down to Poplar Grove Cheese (not to be confused with Poplar Grove Vineyard). As it turned out, there was also a (completely unexpected) winery at the same location. We were able to taste wine with paired cheese before buying our own to eat outside with a view of the lake. Can’t beat that for a lunch spot! Our tour ended at Perseus Winery, around 6pm. 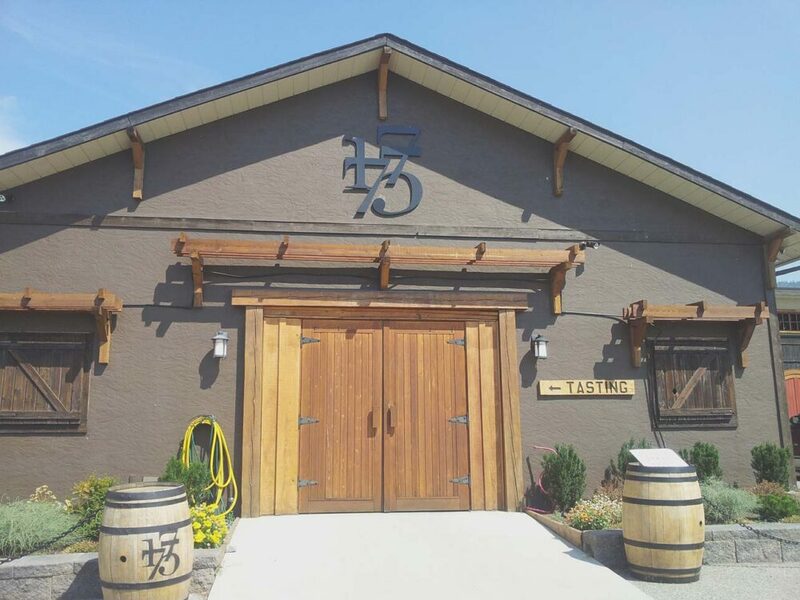 Perseus was our 11th winery, but it was a particularly nice one to finish at since we consider it our local winery. It’s just a very short stroll up the road from our home. Finishing our day with a swim in the lake and a barbecue on the beach, it was close to a perfect day in the Okanagan. Wine, cheese, swimming and a sunset on the beach….Penticton is quite a lovely place to live indeed. Bench 1775 – Awesome Sauvignon Blanc, amazing panoramic views from patio. 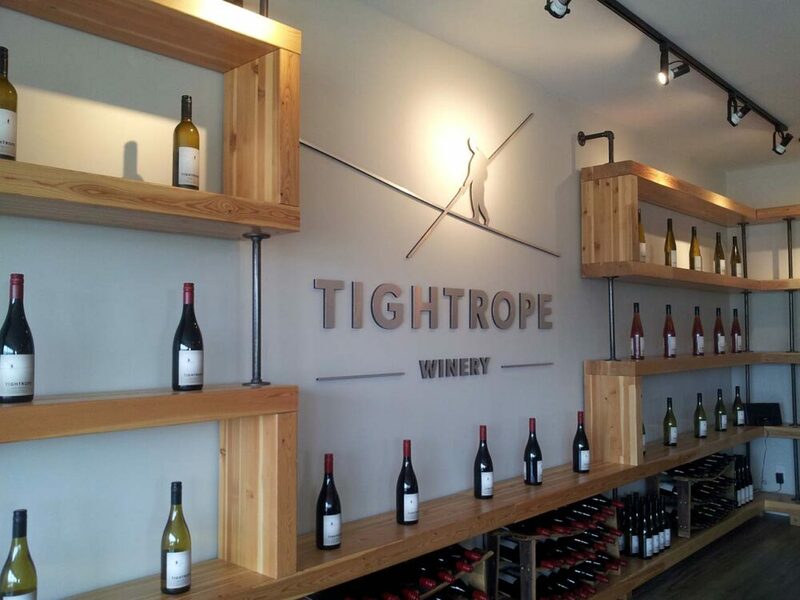 Tightrope – Beautiful modern tasting room. Howling Bluff – Family run, friendly vibe. Hillside – Large, popular winery (good choice of wine) with bistro and pretty gardens. Lock and Worth – Combined with Poplar Grove Cheese. Few wines but great quality. Paired tasting of cheese and wine. Red Rooster – Impressive building, wide choice of wines. La Frenz – Small winery set back from the main road, amazing views. Township 7 – Low-key winery. The Queen once purchased wine from here to serve at state dinner. Monster – Fun, young winery with great bottle designs. Perseus – Our local! Fairly new. Can bring own food to eat on patio with wine. Great Gewurztraminer. Our taxi cost $23 to travel from the Bench Market to Bench 1775. A straight walk back would have been around 7km. Our actual route required us to venture on and off the main Naramata Road and the total distance was more like 9km total. 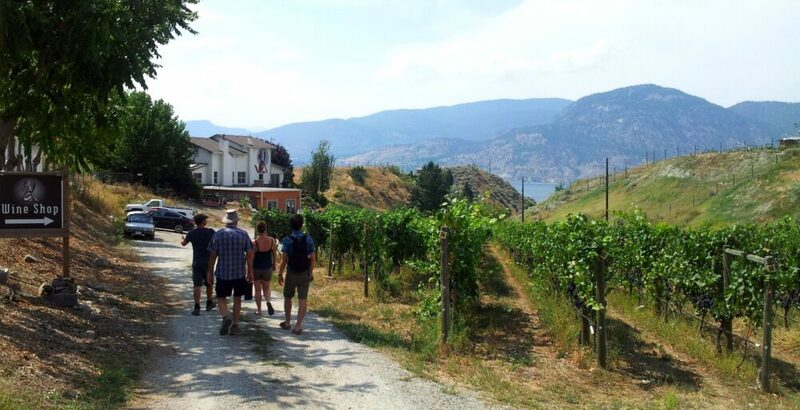 A walking winery tour is a cheap way to see and experience the Okanagan wineries – for the same or similar price of a tour, we were able to pay for a taxi, tasting fees, lunch and a bottle or two (or three) of wine. 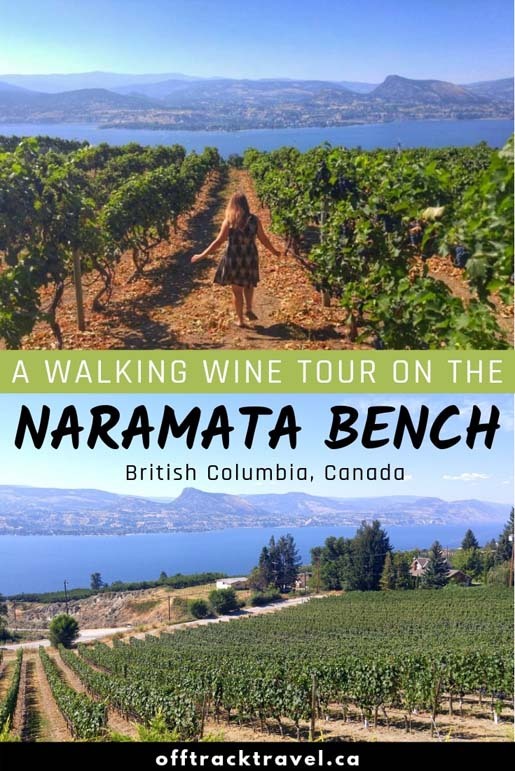 To learn more about Naramata Bench walking wine tours (including itineraries, tips and advice), check out the Wine Lover’s Guide to the Naramata Bench PDF eBook – it has all the info you need and more! On the Isle of Islay at the moment. The walking tour looks great; we hope to follow in your footsteps this weekend. Question: Is there a trail to follow, or do you have to walk the Naramata road? Looks like a busy road with no sidewalks. 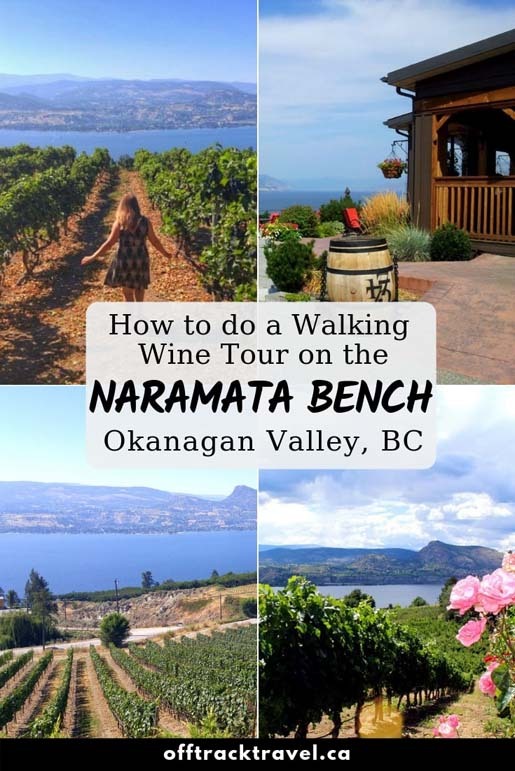 For the most part, a walking wine tour on the Naramata Bench would involve walking on the main Naramata Road. You are correct in that there is no raised sidewalk. However, I have done a walking tour before that started at Howling Bluff Winery, followed Naramata Road as far as Red Rooster and Ruby Blues and then cut back to Penticton on the Kettle Valley Railway trail (walk down the road between the two wineries towards the lake and it connects). Perhaps take this as your backup option if you feel uncomfortable next to the road. The longest section between wineries is from Little Engine to Township 7, so this completely cuts this out. Be sure to bring a hat and sunscreen! I do have more info and route info in my Naramata Bench eBook, as linked in this page. This post was originally written in 2015. 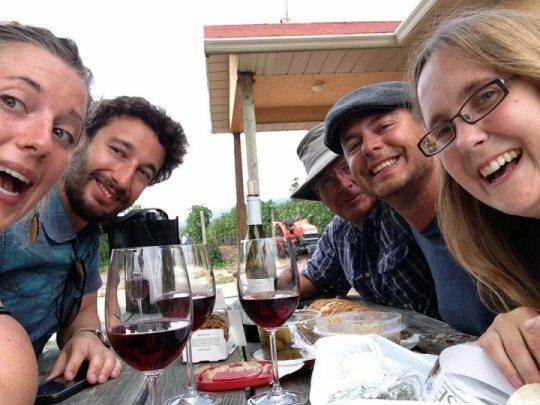 Since then, I have done about six more walking wine tours!